The F/A-18 Super Hornet wood model can easily tailored to individual aircraft marking requirements. When placing a personalized model order please provide a high quality photo of the country and individual aircraft markings that you desire. The text on the nameplate, as well as the format of that text, can also be personalized and we can include simple graphics like a squadron emblem..
We do all individualization on an as needed basis which may require some additional lead time for production. If you need a wood model cutaway by a certain date, please contact us at least 60 days in advance of your required delivery time. Please send us an e-mail for a detailed quote or if you have any questions. 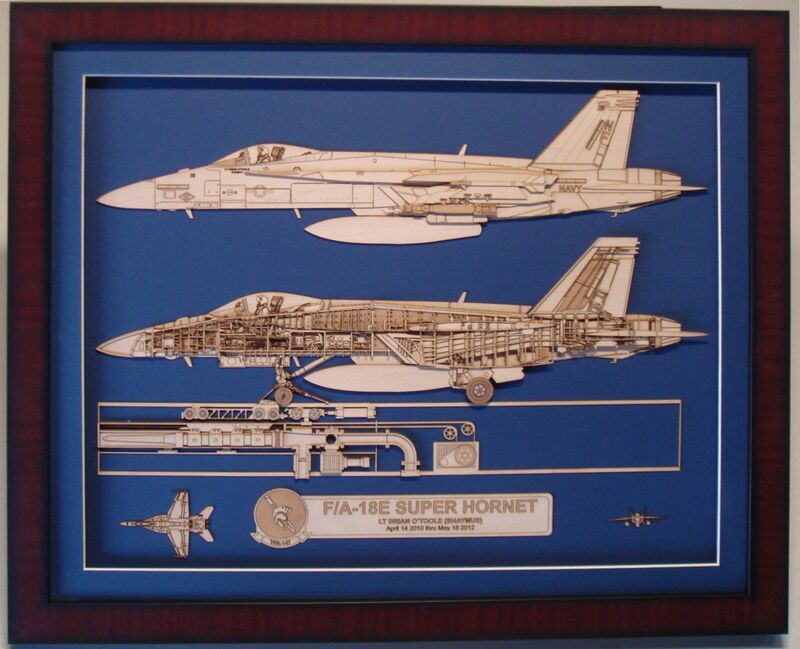 Click here to see all the F/A-18C Hornet products.